In the last five years, the price of health insurance for international students has gone up by 35 per cent, from $710 per year to $1,099 per year at Concordia—and opting out isn’t an option. International students in Quebec—with the exception of those from Belgium, Denmark, Finland, France, Greece, Luxembourg, Norway, Portugal, and Switzerland—don’t have a choice in the health insurance they take. They are forced to accept whatever private health insurance their university offers. 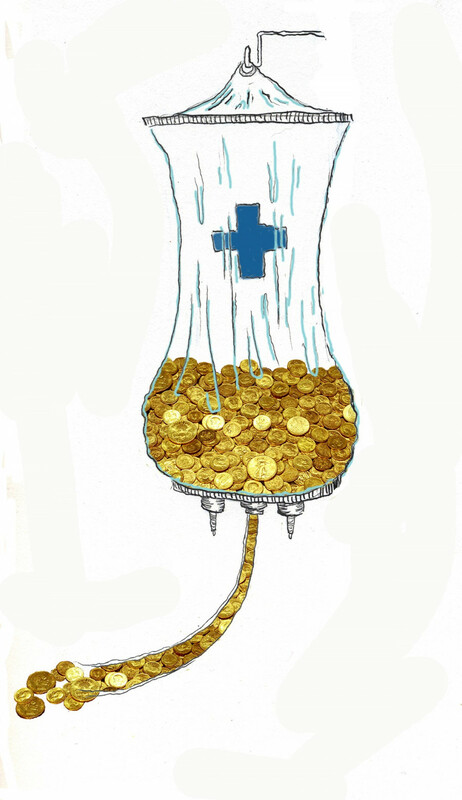 At Concordia, that provider is Blue Cross, and their prices of health insurance for international students are the most expensive in Quebec. In the last month, student associations around the province have begun to mobilize around the issue. Leading the fight is the Association for the Voice of Education in Quebec, an umbrella-association at the provincial level. Also mobilizing around the issue is Concordia’s Graduate Student Association, the Concordia Student Union, and the Mouvement des Associations Générales Étudiantes de l’Université de Québec à Chicoutimi. The GSA is especially involved, since the majority of the students that they represent are international, said Rafi Mohammad Azad, vice-president of mobilization at the GSA. Since 2015, the GSA has been receiving complaints from their international students because of issues with health insurance. The main complaint is that the price is too high. Others complain to the GSA that the services provided are inadequate, and express frustration over not being able to have any choice in what health insurance they take on. On March 13, AVEQ, the GSA, and the CSU gathered at a press conference to voice their concerns. International students already pay the highest amount for their tuition at Concordia, and the most they are legally allowed to work off campus is 20 hours per week. At the press conference, Esmaeel Kariminezhad, an international graduate student at Concordia, told the story of his friend and Concordia student Amir Bahram Kaganj who had recently passed away this January from cancer. Kariminezhad spoke about how Kaganj had received limited treatment because not all the costs of his treatment could be covered by Blue Cross. To cut down on costs, Kaganj underwent a large amount of his treatments in a rehab center at a cost of $400 per night instead of staying in the hospital. He explained that Blue Cross would cover $7,000 of the total cost. Staying at a hospital would have cost him between $2,000 and $5,000 per night, which he could not afford. But because Kaganj still required to be seen by doctors at hospitals, he often had to be moved between the rehab center he was staying at and hospitals to meet with doctors. This would happen an average of three times per week, despite the fact that by September, Kaganj could no longer walk, and constantly moving from hospital to hospital was very stressful for him. “It’s the uncertainty when you go to see a doctor in the hospital. You don’t know how much will be covered,” said Kariminezhad. International graduate student Puya Ghasvareh was also at the press conference. He has recently been diagnosed with lymphoma, a type of cancer, and he also says he cannot easily sustain the prices. In the six months since being diagnosed, he’s already been billed over $60,000 for his prescription medications. Blue Cross will only be covering $22,500 of that—the maximum they’ll provide for prescription coverage. These complaints, and others like them, are listed in Studies in Health: Report on Health Insurance for International Students in Quebec, a study recently published by AVEQ. With data collected through a survey of international students, it finds that the majority are dissatisfied with their health insurance—partly due to its high cost and how the increases in prices are never communicated in advance. Many who responded say they do not see a significant difference in the services provided as prices go up, and that having to pay for additional health insurance for their family members increases the costs to an unsustainable amount. One student from Concordia said in addition to the $1,099 he has to pay for himself as a student per year, he has to pay an additional $4,000 to cover his wife. “An amount that he finds both inexplicable and totally unacceptable,” the study reads. Most of the students included in the study were from Concordia and McGill, with 67 per cent of answers coming from Concordia students, and 15 per cent coming from McGill students. 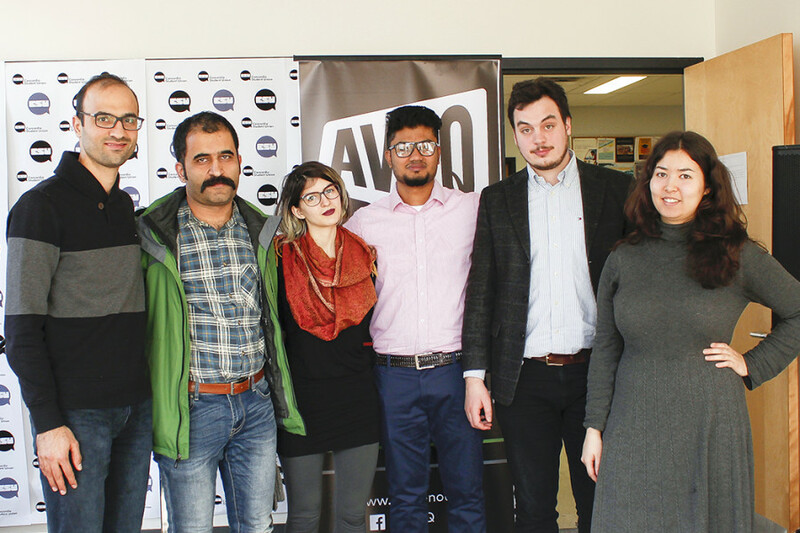 Despite the small sample size of 52 students, it nonetheless highlights an issue that is legitimate for many international students who chose to stay in Montreal for their studies, said General Coordinator of AVEQ, Christopher Gyorffy. Now AVEQ, the GSA, the CSU, and MAGE-UQAC are demanding that international students be allowed access to the public health care in Quebec. In Canada, Quebec, Ontario, New Brunswick, Nova Scotia, Prince Edward Island and the Yukon require international students to take on private health care. Other international students around the country are granted access to the public health care of whichever province they study in, for the duration of their studies. Gyorffy says the current plan imposed on international students is monopolistic given that it is only negotiated by the administration of the university. “We need a transparent and democratic system, which is done in collaboration and negotiation with student representatives instead,” he said. AVEQ’s hope is to start a dialogue with Quebec’s health minister. For the time being, AVEQ is to meet with the province’s Minister of Higher Education, Hélène David, at the end of April. From there, David said it’s likely that all student associations in the province will be invited to a consultation, so that their demands can be put into consideration by the Quebec government. The GSA has had several meetings with the International Students Office at Concordia since the prices for the Blue Cross plan increased. The ISO confirmed to them that the price will stay at $1,099 per year until 2018. When their contract with Blue Cross is put back up for renewal, the GSA has been told that they will be included in the decision making process. But no formal agreement has been signed as of yet. In the past, the ISO has not let student associations, like the CSU or the GSA, be part of the decision making process and has not been transparent with them on why the prices have changed, said Azad, one of GSA’s executives. Kelly Collins, the manager of the ISO, said that the results of AVEQ’s study do not reflect the experiences she has with international students in her day-to-day work in the ISO. She says she doesn’t hear much beyond students saying that they want to opt-out of the insurance plan. She also disagreed with the assertion put forward by the student associations that there has been no difference in the services provided since the increase in prices. Collins explained that Concordia now has a plan from Blue Cross that covers prices up to three times what the public health care, the Régie de l’assurance-maladie du Quebec, covers. McGill’s plan for international students at $993 per year may be cheaper, she said, but it only covers the same amount of the RAMQ price, one of third of Concordia’s.